A suspected firearm was used to threaten and rob a debt collector this afternooon. 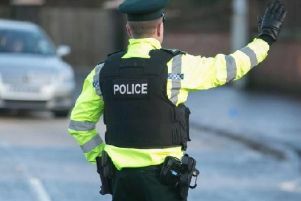 The armed robbery happened at the Laurelvale Road area of Tandragee. Detective Sergeant Patterson said: “At around 2:15pm, it was reported that a car was driving along the Laurelvale Road this afternoon when a grey/silver coloured van pulled immediately in front of the car. “Three men approached the driver side front door and threatened the driver, with a suspected firearm. “The males made off with a sum of money and then drove towards the Armagh Road following the incident. DUP Cllr Gareth Wilson condemned the attack and called for people to be vigilant.